Citizen presented some cool, sci-fi (complete with sci-fi anime trailer) at Baselworld 2011, including the Citizen Eco-Drive Satellite Wave which comes with its own Appleseed XIII anime trailer. Unforunately Citizen is even worse at marketing and PR than Seiko, so all the material is in Japanese so information is limited. 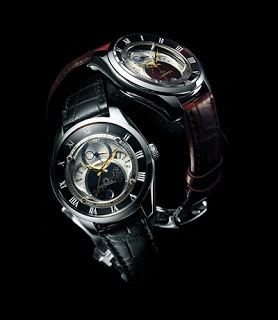 ﻿﻿The first is the Citizen Eco Drive Satellite. I gather this is a concept watch but it is designed to receive time signals from a series of 24 satellites orbiting the earth. ﻿Unlike traditional radio-controlled watches while rely on radio waves for time signal thereby limiting their geographical range, the satellite controlled watch should be able to work at any point on earth. Update: More about the Eco-Drive Satellite Wave can be found on this blog entry here. 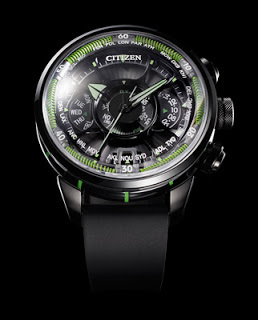 Citizen also created a video trailer for this watch in collaboration with the makers of anime movie Appleseed XIII. ﻿Another new model is the Eco-Drive Ring, a solar-powered chronograph with an impressive looking case. The open sides of the case and lugs are for the solar panels which is a clever way to removing them from the dial as was the case in earlier Eco-Drive models. The case work on the upper end Citizen watches I’ve seen is always extremely high quality and elaborate and this is no exception. Update: A bit more info on the Eco-Drive Ring. The last notable model is a solar-powered Campanola with moon phase and calendar (pictured right). 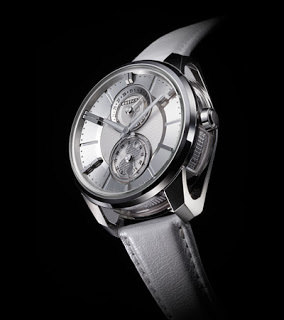 With the Campanola range not only are the cases of high quality but so are the dials and hands. In fact some of the dials and hands are of amazing quality with razor sharp edges and incredible guilloche. Japanese readers can peruse the Citizen site here.